APRIL 2018; CANTON, OH: The next large format API Vision console has been commissioned at Kent State University's Stark location. With the console sale facilitated by Chris Bolitho of Vintage King in 2017, the 32 channel Vision now serves as an integral player in the school's Music Technology Program. Music Technology and Audio Recording professor Ian Anderson noted, "The API Vision has been a real game-changer for the Audio Recording track of the Music Technology Program. We were previously an in-the-box-only program, but recently traded in the control surface for two analog consoles, including our flagship API Vision (which can also function as a control surface, I might add)." 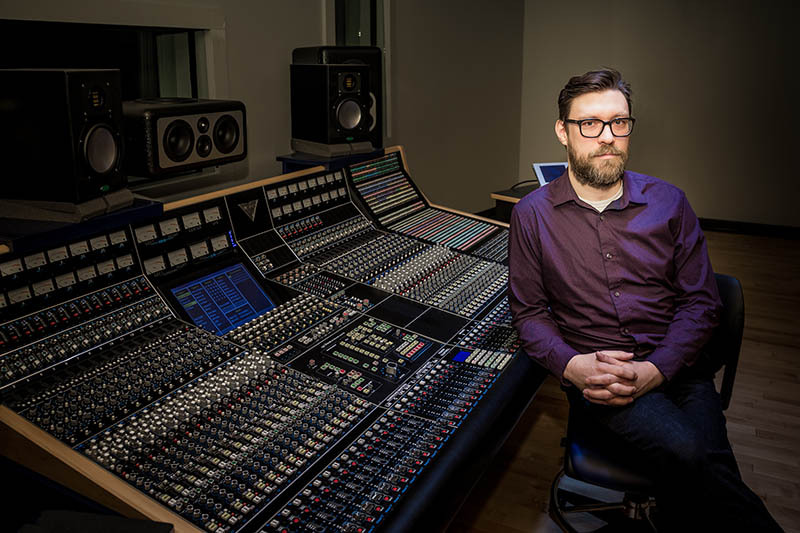 "Not only will our students be better prepared to enter the industry with genuine large-format analog console chops, the quality of their recordings has increased exponentially," Anderson added. "The first time we recorded drums through the Vision was a real eye-opening experience for them. In the month and a half we’ve had the console, we’ve recorded a film score (we then mixed the entire film), a jazz session, a choral session and a number of in-class rock sessions, and the Vision has never failed to impress." "We are delighted to add Kent State University at Stark's prestigious audio program to a long list of educators using API consoles to build the next generation of music technology professionals," said API President Larry Droppa. "We're excited to begin receiving applications from Kent State University at Stark students for the API Saul Walker Memorial Scholarship."